I just can't take this picture... The sleeves rolled up... Just a coupla fellas hangin out, havin a few brews... Just a few regular working-class bro's from way back... 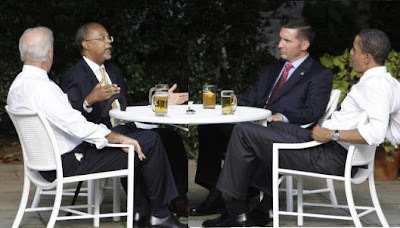 I can't... Mark my words Obama will never live down "The Beer Summit".